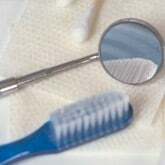 DentalPlans.com provides a hassle-free way to find a dentist in Toms River, NJ in our extensive dentist directory. Simply type in your ZIP code to compare the discount dental plans in Toms River and view a list of participating dentists. Select one of our featured discount dental plans and benefit from discounts from 10% to 60% on most dental care services performed by dentists such as Dr. Jennifer L Lamphier. Once you've joined the best dental plan for you, schedule a dental appointment with Dr. Jennifer L Lamphier in Toms River and receive discounts on most dental care procedures including Oral Surgery. Discount dental plans are alternatives to dental insurance plans that can save you money on dental care services like Oral Surgery and more. We make it easy for you to search more than 100,000 participating dentist listings in combined networks, including many general dentists, orthodontists, periodontists, oral surgeons, and more. So if you want discounts on oral exams, cosmetic teeth whitening, braces (orthodontics), root canals, crowns and more, you can easily search our huge dentist directory to find Toms River dentists that offer discounts on Oral Surgery and more.